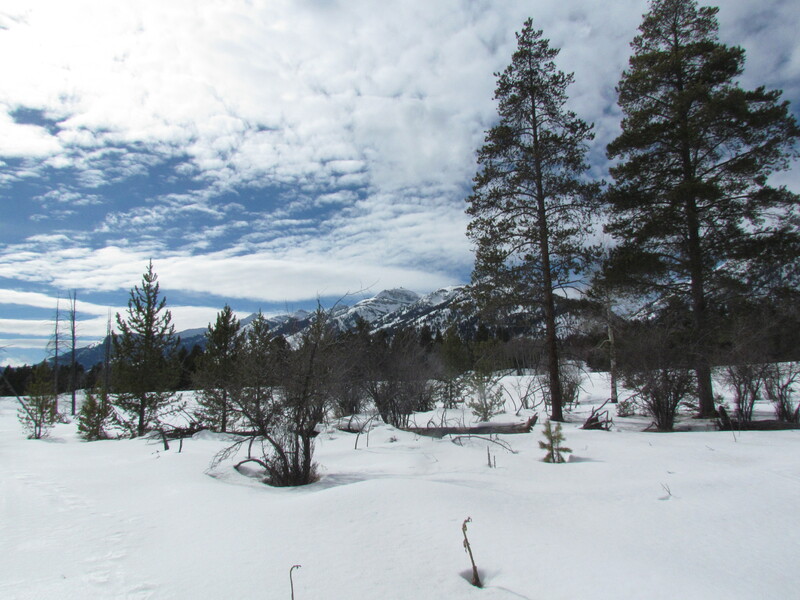 Have you ever been snowshoeing through Grand Teton National Park? If you’re looking for a day off from skiing and snowboarding, then a guided snowshoe trip is a peaceful way to get outside, experience local plant and wildlife, and get your heart rate up a little bit! 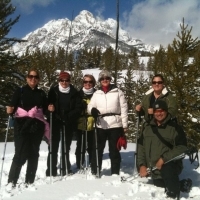 A few members of our team recently enjoyed a two hour snowshoe tour through Grand Teton National Park with knowledgeable guides from Hole Hiking Experience. Some of the people in our group had only been snowshoeing once before and found it was a cinch to pick up this sport and get into it! Bev and Cathy, our guides from Hole Hiking Experience, met us at in Teton Village and we drove just a few miles down the road to the Granite Canyon trailhead in Grand Teton National Park. When we arrived, it only took a few minutes to get into our gaiters and snowshoes. If you are picturing those old wooden “tennis racket” style snowshoes, then think again. The sleek new models are really easy to get into and very simple to walk in too. Our guides provided us a few quick tips and then we were off! The park is very peaceful and uncrowded in the winter months and we got a really beautiful sunny afternoon with a light breeze - perfect weather for exploring. Bev our guide took us through meadows and past beautiful clusters of Aspens and Pines. We stopped along the way to sip on water and munch some trail mix. Bev explained the local ecology and how the birds, insects, animals, and plants were all interdependent, giving the view and surroundings a ton of context. For a few moments we stood silent on a ridge and simply listened to the wind passing through the trees. A highlight of the trip was noticing the white trunk of an aspen tree that had obvious bear claw marks where a bear had climbed up the trunk! We also caught a glimpse of a lone coyote walking along the crusty top layer of spring snow. 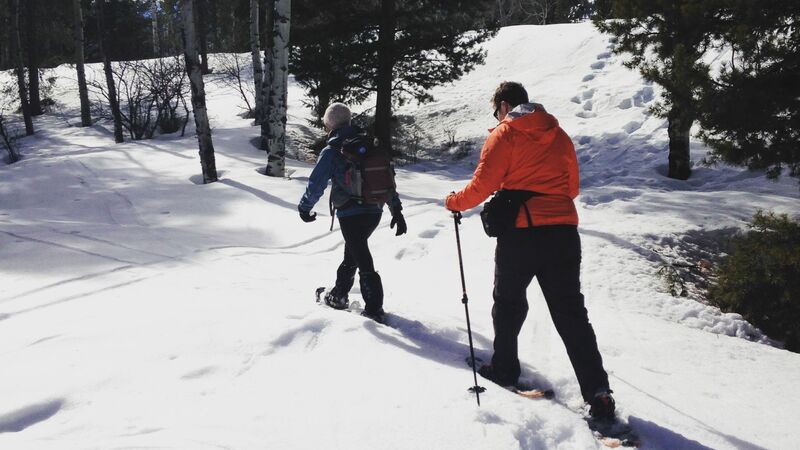 Snowshoeing is a lot like hiking. If you like walking in the woods, you'll love this activity! There are different 2 hour, 1/2 day, and 3/4 day tours available. It’s best to dress in layers and wear waterproof clothing and shoes. Guides will provide water, snacks, and transportation. Meals are provided on longer tours. Beginners are welcome! 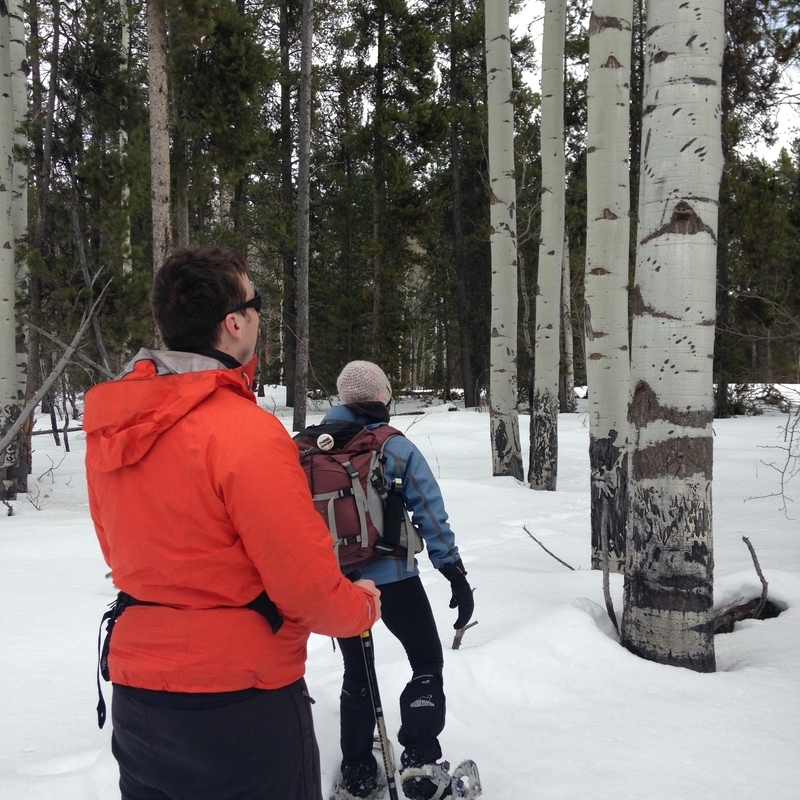 Snowshoeing is a fun and easy sport to try. Learn more about snowshoeing, dog sledding, and other cool winter activities in Jackson Hole. Give us a call at (888) 838-6606 to plan your Wyoming getaway. This must-see activity gives you views of the entire Jackson Hole valley! Get tips for riding the tram, on-mountain dining, and hiking options from the top of the mountain. Here are the top four reasons to add a few days in beautiful Jackson Hole to your Yellowstone National Park trip. Have you ever been to Jackson Hole in the spring?